Hurricane Patricia still poses a threat of floods and landslides as it brings heavy rain to parts of Mexico, President Enrique Pena Nieto has warned. President Enrique Pena Nieto said Hurricane Patricia – the strongest storm recorded in the Americas – had so far caused less damage than feared. The US National Hurricane Centre (NHC) said Hurricane Patricia hit as a Category Five storm – the highest classification. The hurricane has since been downgraded to a Category Two tropical storm. The storm touched down in western Mexico on October 23, bringing destructive winds and rain, but heavy damage appears to have been avoided. 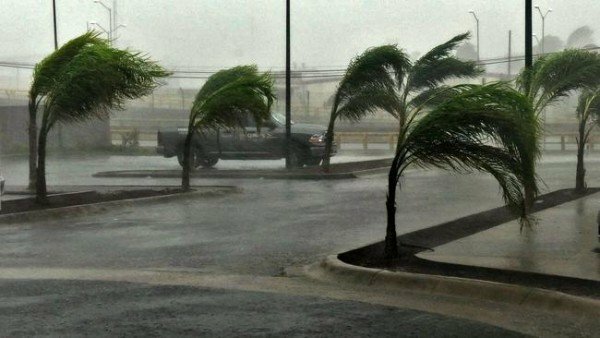 The NHC said winds had decreased to 100 mph as Hurricane Patricia weakened over land. While still over the ocean, Patricia had winds of 200 mph at its peak, which made it the most powerful hurricane ever recorded in the Western hemisphere. Thousands of residents and tourists on Mexico’s Pacific coast were evacuated and moved inland. Hurricane Patricia is now moving north-northeastward inland over northern Mexico. The states of Nayarit, Jalisco, Colima, Michoacan, and Guerrero are in particular danger from the high rainfall expected on October 24, the center says. Total rainfall of 8 to 12 inches is “likely to produce life-threatening flash floods and mudslides,” it added. “The first reports confirm that the damage has been smaller than that corresponding to a hurricane of this magnitude,” President Enrique Pena Nieto said in a TV address. However, the Mexican government has warned that ash from the Colima volcano, which has become increasingly active this year, could combine with heavy rainfall to trigger huge mudflows. Hurricane Patricia reached land in the Cuixmala area of the western Jalisco state, some 55 miles from the port city of Manzanillo. The NHC said Patricia hit the coast with winds of 165mph. At one point before landfall, the hurricane’s winds had been strong enough “to get a plane in the air and keep it flying”, World Meteorological Organization spokeswoman Claire Nullis said. Video filmed in the port city of Manzanillo shortly before the hurricane struck showed trees bending in severe wind. Residents had stocked up on food and other supplies, while shop owners boarded up windows. Jalisco is home to the resort town of Puerto Vallarta, which appeared to have escaped the worst of the storm. Police patrols in the resort urged people to leave the shorefront for safer areas at least three blocks inland, while loudspeakers ordered hotel residents to evacuate. Puerto Vallarta airport, along with two others in the path of the storm, were closed.